Lately I’ve had a bit more free time, so I’m planning to dedicate more time to this blog. This means that instead of posting once a week or once every two weeks, I’ll be updating once a day or once every other day! 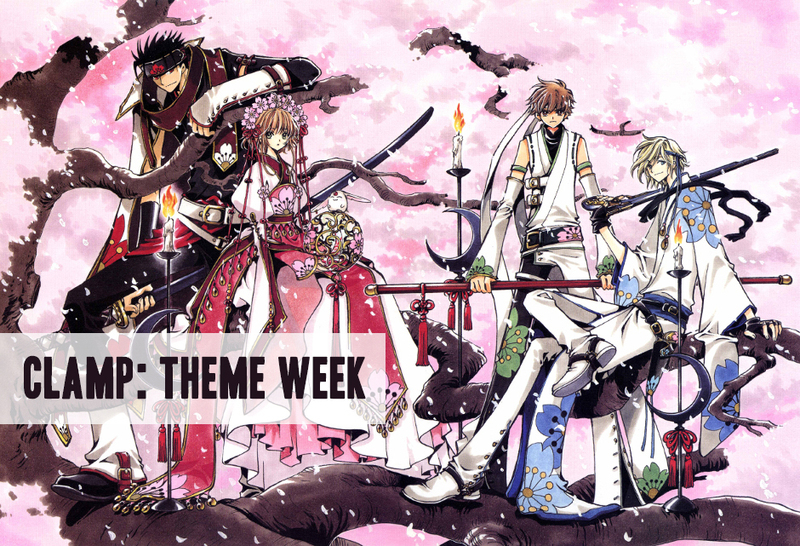 With that said, this week’s theme will be: CLAMP. Not all of you may know this, but when I first got into manga back in middle school, CLAMP was a major driving force in my life. I started off with shounen series such as Dragon Ball, Rurouni Kenshin, and Inuyasha (out of these I would not recommend Inuyasha), but soon I discovered CLAMP and read pretty much everything they had ever written. 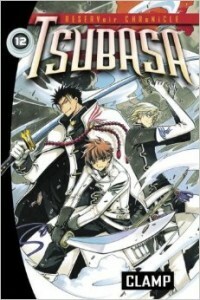 In fact, I was so obsessed with CLAMP that I ended up applying and joining the scanlation group Be With You Scans as a Chinese translator, in the hopes that I would be able to work on their signature piece at the time, Tsubasa: Reservoir Chronicle (I did), which cemented my relationship with the scanlation community. If I hadn’t gotten so involved with the manga community back then, who knows if I would be writing this blog today? CLAMP is an all-female manga group composed of four members – Ohkawa Ageha, Igarashi Satsuki, Nekoi Tsubaki, and Apapa Mokona. They’ve been around since the 1980s (damn!) and they are still around, serializing new series as we speak. As you can imagine, with a four member team they’ve serialized much more than the average manga artist to date, with over 20 works to date and several works well over 10 volumes. Their works are known for a diverse array of art styles, but perhaps more importantly, for the unique blending of both the shounen and shoujo genres. They are also known for cameo-ing their characters across series and intertwining series subplot, backstory etc. with their other works, creating a loosely unified “CLAMP universe” that ties together all their works. The compilation of all the articles written for this theme week will go here. Enjoyed this theme week? Leave me a comment and let me know what sort of theme you’d like to see next! Update: Got a little busy over the weekend, but the CLAMP discussion is still going strong! Come take a look at the latest discussion/speculation about the ending of X/1999!